A memoir tells a story (or stories) from your life. A good memoir fleshes out the complexities and consequences around an organising theme (for example: serious illness, adoption, fame), through your experience and reflection. What is the organising theme of your memoir? What are the questions you want to explore? And how will you write from the inside out – inviting readers into your story by making it resonate beyond you? how to identify the central organising theme of your memoir, and the sub-themes that will help structure your memoir. how to structure your memoir, using your organising theme (and sub-themes) as a guide. how to use your theme to write about your story within the context of the wider world in which you experienced it, or the experiences of others. Write from the inside out. why it’s important to know what you learned from and how you changed in relation to your theme: and include it in the text. how to dig for deeper truths, and keep asking questions to get to the core of your story. Jo Case is the author of 'Boomer and Me: A memoir of motherhood and Asperger’s', which was shortlisted for the Russell Prize for Humour Writing in 2015. 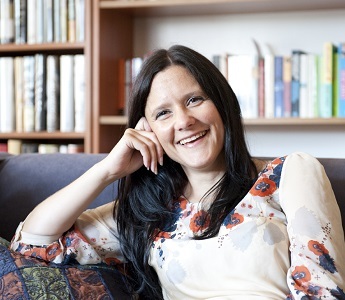 Her personal essays have been published in the anthologies 'Rebellious Daughters' (2016) and 'Mothermorphosis' (2015) and in The Age, and her fiction has been published in Best Australian Stories and The Big Issue. She has been associate editor of Kill Your Darlings and senior writer/editor at the Wheeler Centre.